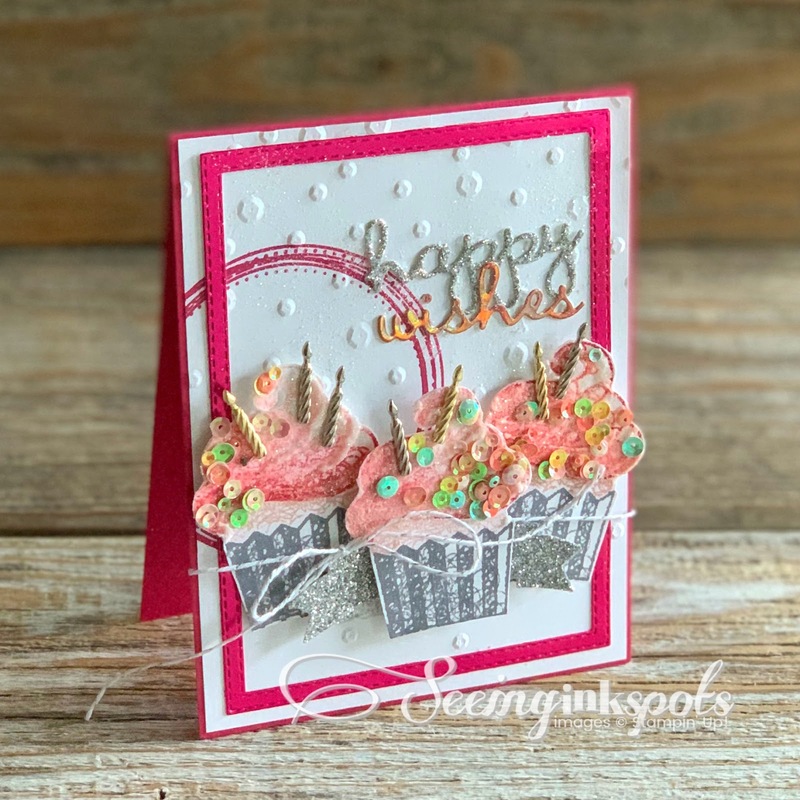 The newest most current challenge at Hand Stamped Sentiments is an inspiration board which you can use to ignite your imagination. 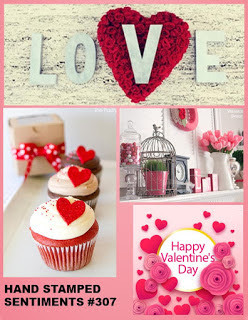 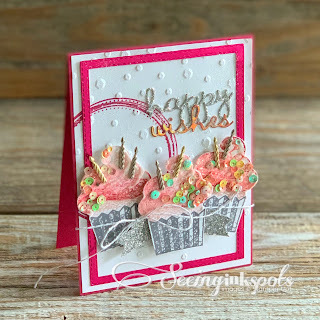 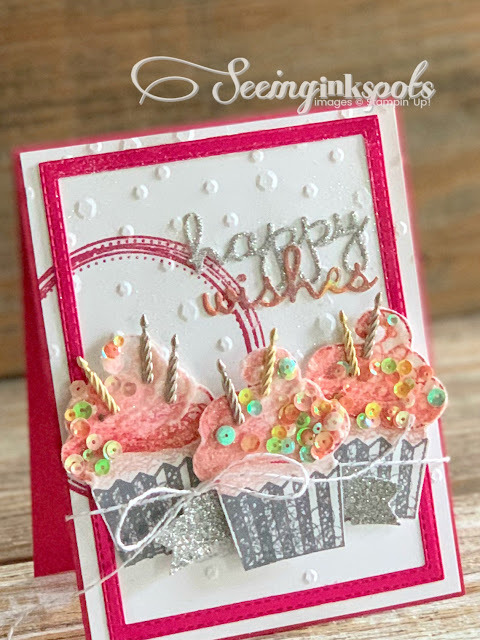 For my spin on the challenge I grabbed my Hello Cupcake Stamp Set to get things rolling on the "creative train." 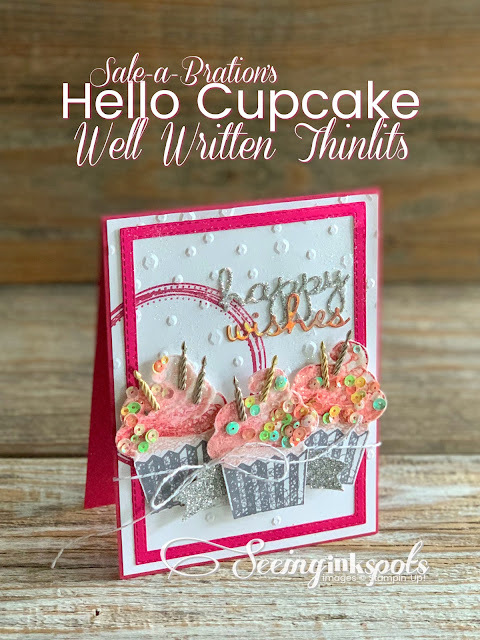 With the Hello Cupcake Stamp Set I added the Lovely Lipstick/Grapefruit Grove Foil Paper, Rectangle Stitched Framelits, Well Written Thinlits, a few ink pads, Shimmering Embossing Paste, sequins, and mini candles.